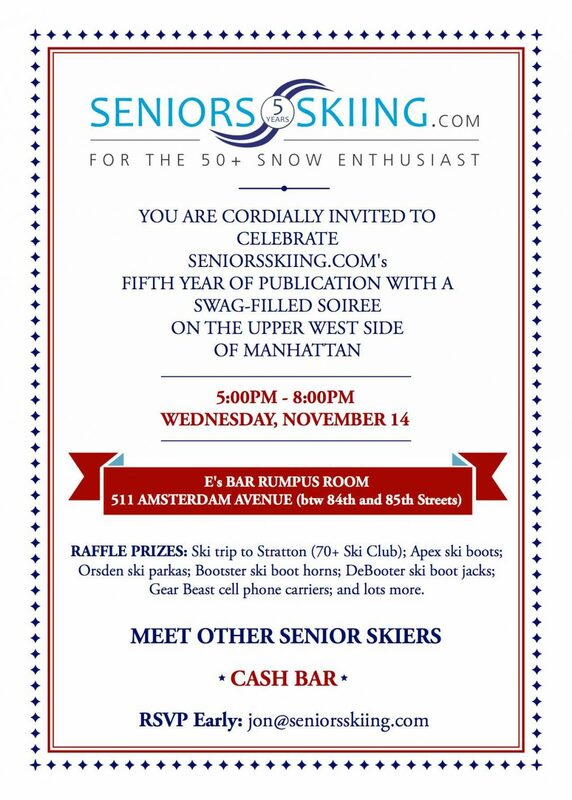 ReaderReport, Free Senior Ski Listing, Mystery Glimpse Returns, Sample Song From Ray Conrad, Fifth Anniversary Bash Coming Up. Last week, we put out a call to our readers to submit stories, photos, and videos about their own snow sport experiences. Memories, history, adventures, recommendations, you name it. In response, reader Alyce Perez sent in pictures of her skiing at Mt. Snow in October, the first time in her 41 years of skiing that she skied before Halloween. Thanks, Alyce. Check out her smiling after a run here. Now for the rest of you, let’s hear your tales. Just drop us a note or pictures to [email protected], and we’ll follow up. Friends and family will be impressed. 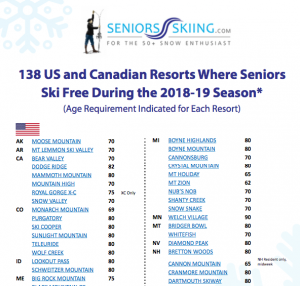 After weeks of checking and re-checking our listing of resorts where seniors can ski for free (or almost free) is ready for publication. 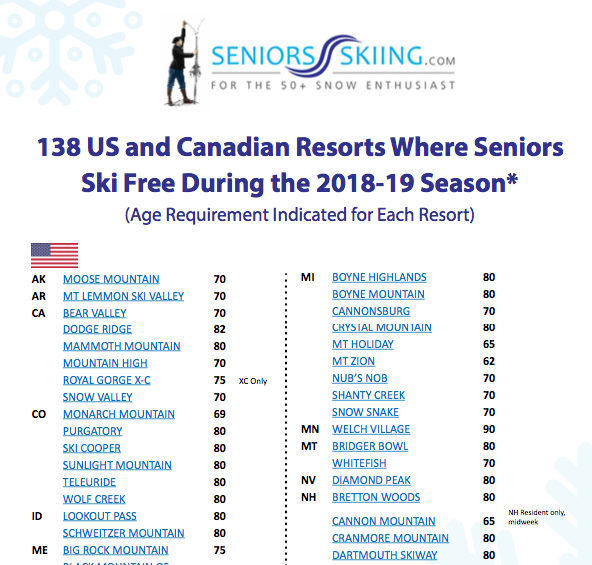 This year, we have identified 138 resorts in the US and Canada which offer free or very small fee tickets and passes to seniors. 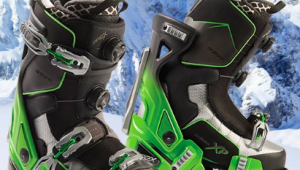 We believe we are the only snow sports publication with this list which we have developed with the National Ski Areas Association and have been compiling for our readers for the past four years. If you are a subscriber, you can access our 2018-19 list of where to ski for free (or almost free) by clicking the Subscriber-Only Content box in the menu bar or click on COMMUNITY in the blue menu and then clicking on Subscriber-Only Content. Or by clicking here. Note that you may be asked to re-enter your name and email address again to confirm your free subscription. 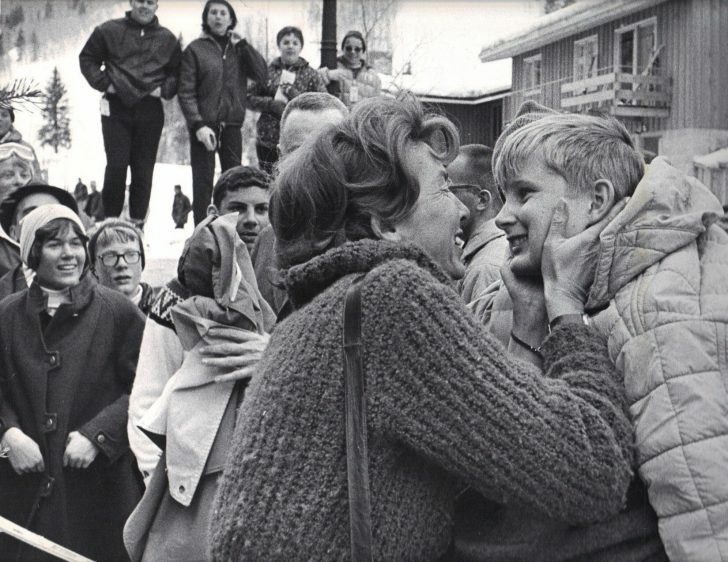 readers to identify what, who, or where the picture was taken. 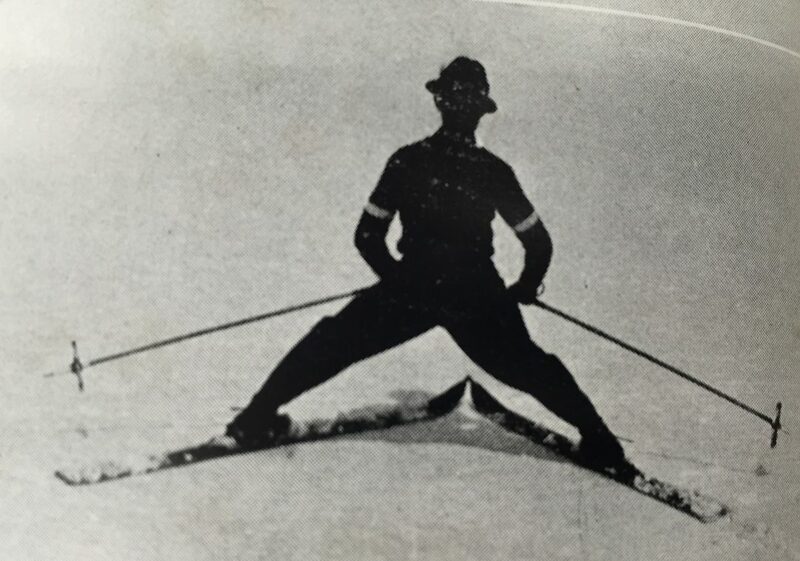 This week, our Mystery Glimpse is from the Colorado SnowSports Museum and Hall of Fame in Vail. Take a look and see if you can identify what is happening. 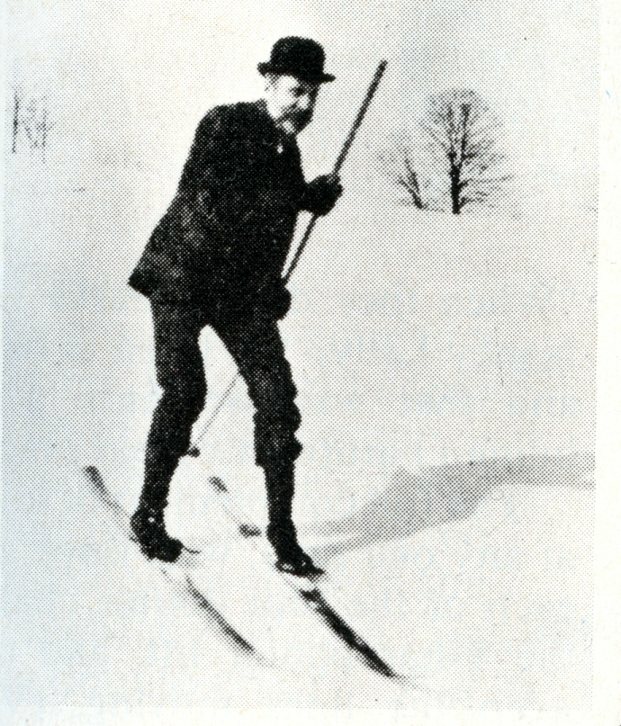 Ski Songs From Ray Conrad. 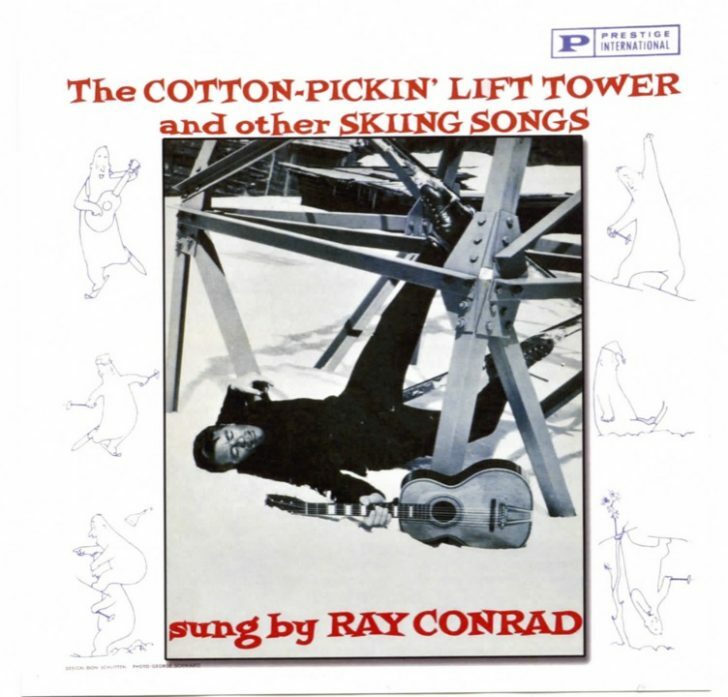 Last year, we had some fun republishing Ray Conrad’s album, The Cotton-Pickin’ Lift Tower and Other Ski Songs, a collection of his classics from the golden age of folk music and singing skiers. You can check out the album which is for sale on CDBaby and listen to some samples by clicking here. 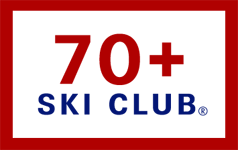 SeniorsSkiing.com splits the proceeds with 91 year old Ray who is thrilled that new people are listening to his funny and sometime sentimental music about the world of skiing. Depending on the device you are using, you may be able to listen to “A Skier’s Daydream” from the album here. Click on the arrow and turn your sound up. We’re getting ready for our Fifth Anniversary Bash in NY coming up soon. Here are the details. And remember, dear readers, there are more of us every day, and we aren’t going away. How about re-releasing the album ‘The Hustlers in Ski Country’ by the Colorado group. Sadly, my copy is damaged and unplayable. If you can give us some details we’ll see if that’s feasible. We need to get agreement with the “Colorado group” and proceed from there. Let’s start with who these folks are and where they might be today.